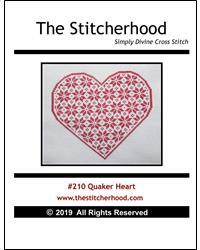 Quaker style heart cross stitch pattern, perfect for your Valentines decor. All stitches are cross stitch. Copyright 2019, All Rights Reserved.